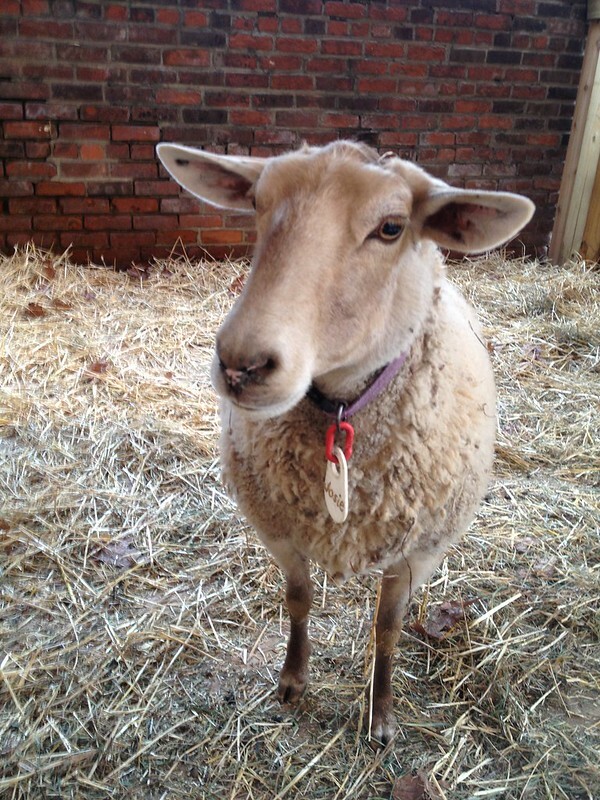 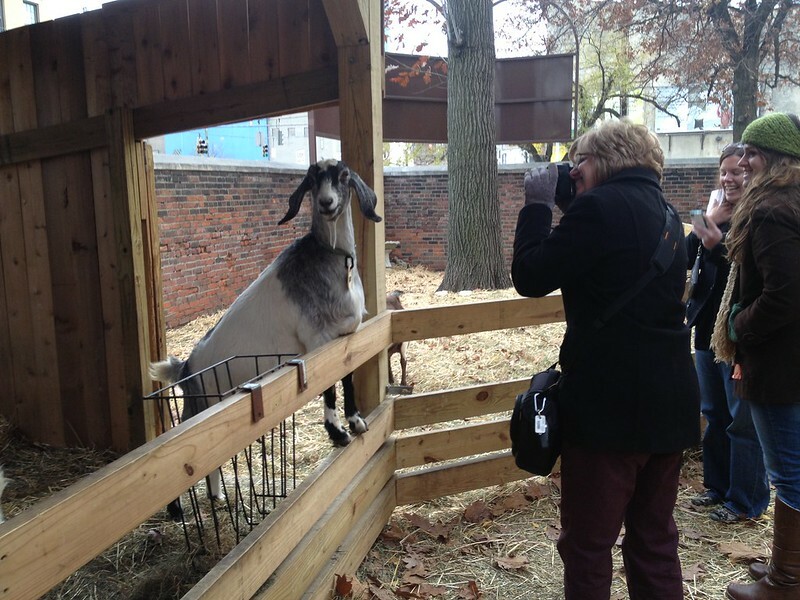 One of my favorite surprises this holiday season was the discovery of a petting zoo nestled in the heart of Over The Rhine. 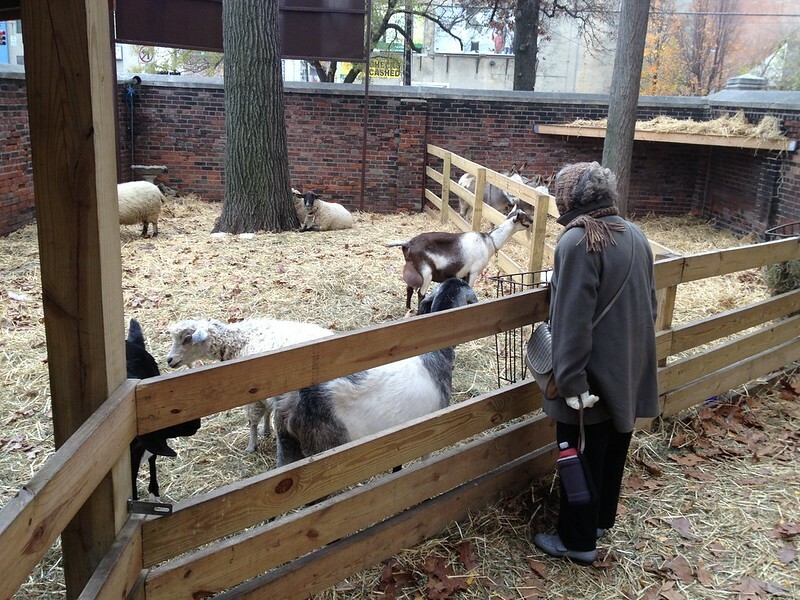 As part of the St. Francis Seraph nativity scene, stables are set up in the parish's courtyard and is open to the public daily from 1:00PM - 7:00PM. 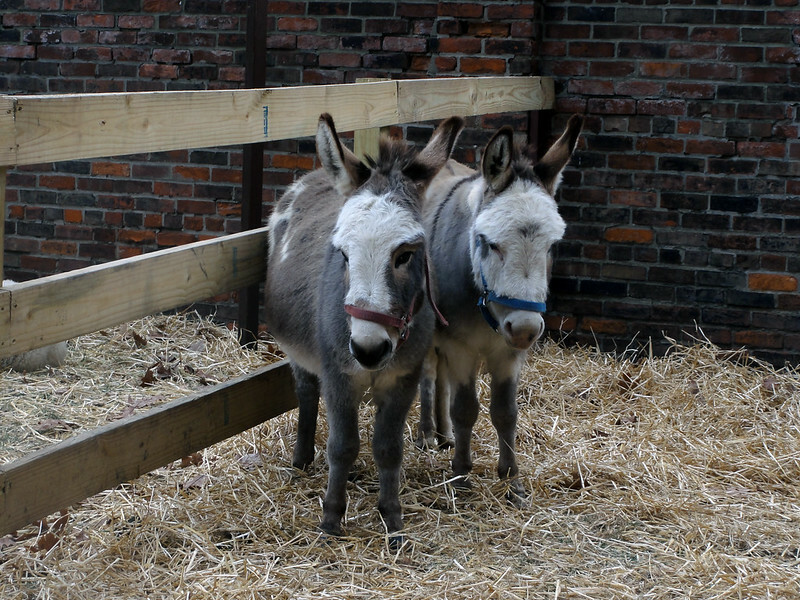 With miniature donkeys plus sheep and goats in every size, color, and fur softness, there is an animal that will satisfy everyone's petting pleasure. 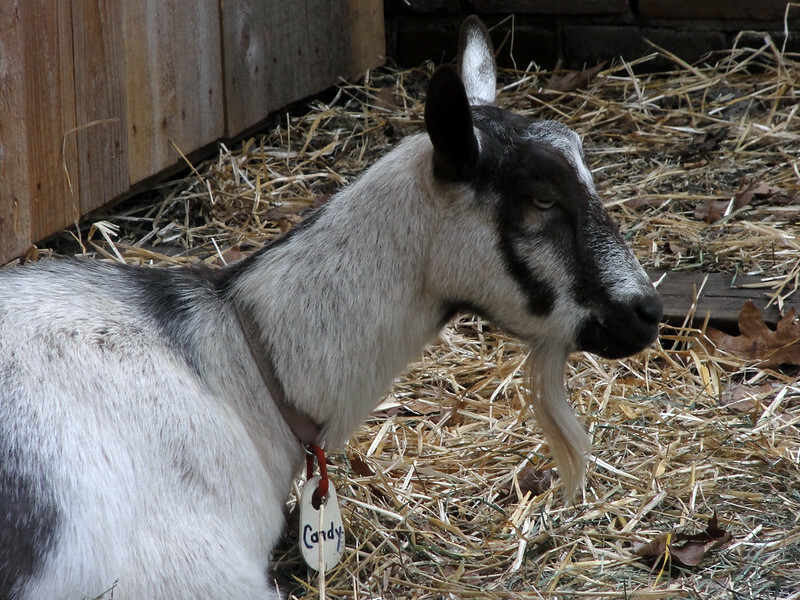 Each animal also wears a name tag. 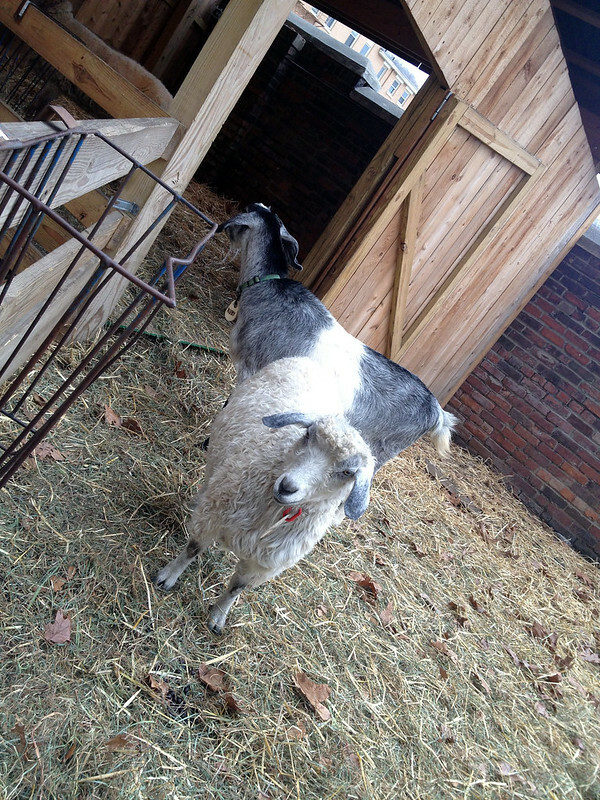 My favorite is Ruby the Goat, who tries to climb the fence and poses for pictures. 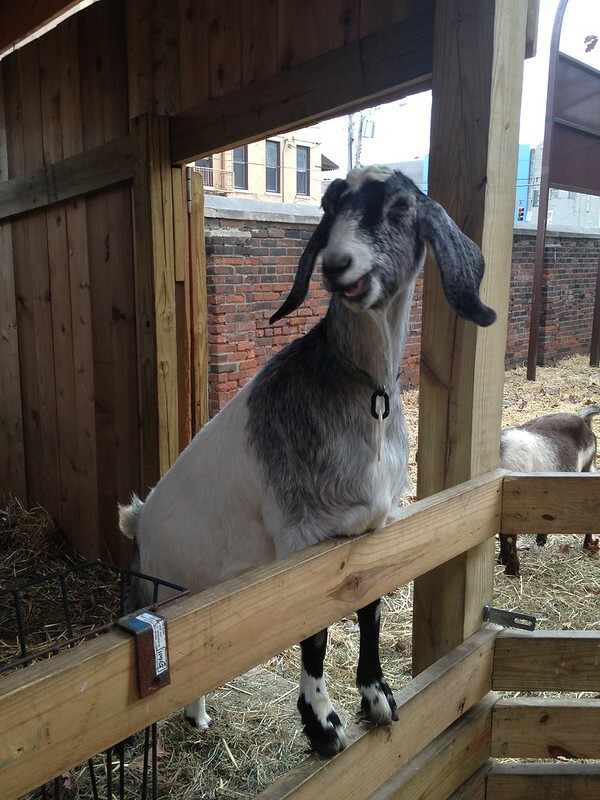 Ruby The Goat gives us a smile.